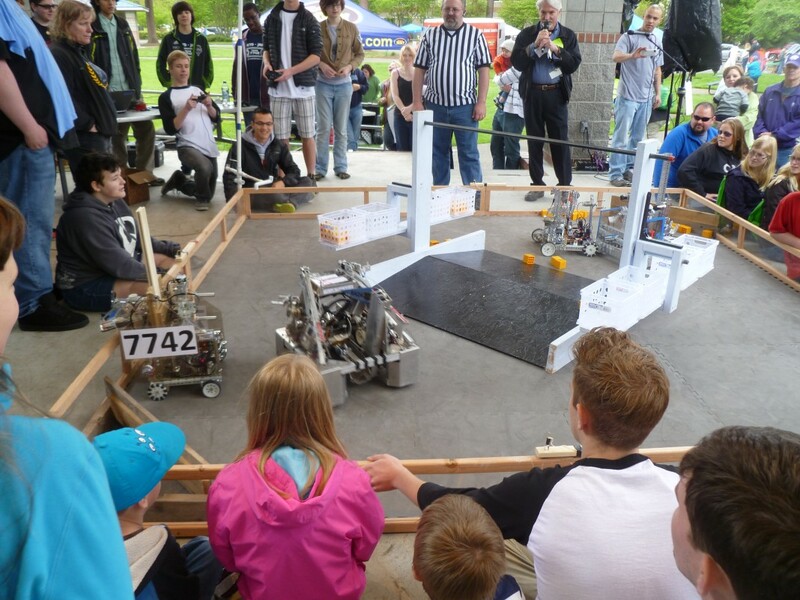 The City of Lacey invites all S.T.E.M.- (science, technology, engineering, and math) related businesses, clubs, schools, and organizations to take part in the 4th Annual S.T.E.M Fair Saturday, May 20 at Huntamer Park in Lacey. 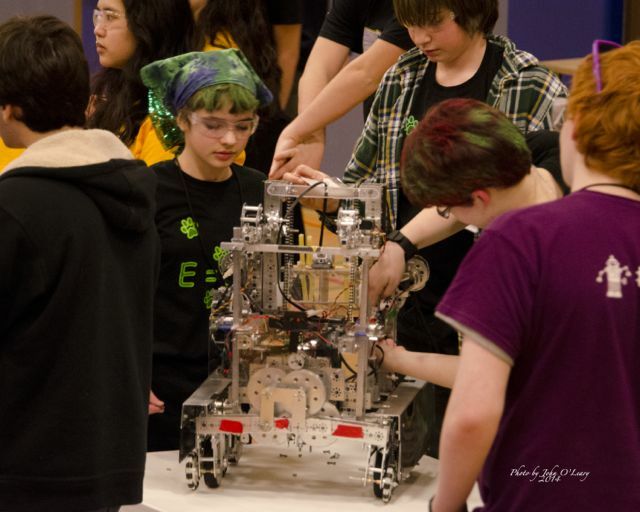 Groups or businesses can join this event by engaging attendees of all ages (youth and adult) in various S.T.E.M.-related demonstrations or activities. This event provides an opportunity to share your mission, engage the community, and increase environmental education and awareness. A robot building station, sponsored by Puget Sound Energy, was one of the educational booths at past STEM Fairs in Lacey. Businesses sharing how they use S.T.E.M. Since 1998, Lacey hosted the Lacey Grand Prix Electric Car Rally (Electrathon America sanctioned event) along with the Alternative Energy Fair at Huntamer Park in the heart of Lacey. Although the event no longer hosts the Lacey Grand Prix, it has expanded to include a S.T.E.M. Fair, with displays, hands-on activities for kids, demonstrations, and businesses focusing on science, technology, engineering, and math. In 2015, Lacey’s S.T.E.M. Fair received the Program Excellence Spotlight Award for Innovating Programming from the Washington Recreation and Parks Assoc. Lacey S.T.E.M. Fair is presented by the City of Lacey, North Thurston Public Schools, Puget Sound Energy, Acme, TCTV, 94.5fm ROXY, and the River Ridge EV Club. For event details, visit ci.lacey.wa.us/events or contact Jeannette Sieler at 360-438-2631 or jsieler@ci.lacey.wa.us.